As the most remote destination on earth visited by a few thousand every season (November to March), it’s no surprise that Antarctica is shrouded in mystery. 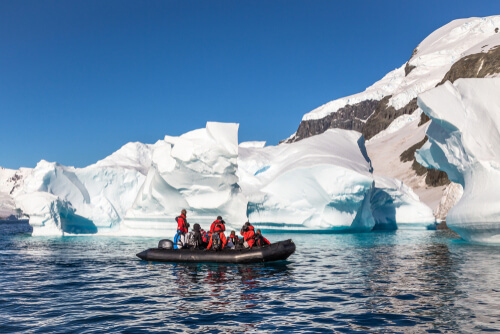 If you’re considering a trip to the mighty southern frontier, or preparing for your upcoming adventure, here are five things to watch and read about Antarctica. 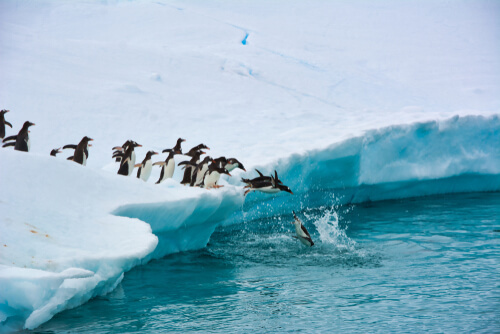 The multi-award winning Frozen Planet is a masterful docuseries about the polar regions of the planet. While it highlights Antarctica, the program also goes beyond the icy continent, to the vast north pole. Modern technology meant cinematographers could access never-before-seen places and capture rare footage from deep under the ice, such as polar volcano eruptions and the animals that inhabit the depths of the polar oceans. Think: breathtaking footage of penguin colonies snuggling together to keep warm, families of orca or killer whales on the hunt for their next meal, and arctic wolves floating on ice in the north pole, all narrated by the only and only, Sir David Attenborough. In 1914, explorer Sir Ernest Shackleton set sail on the ship Endurance in search of the South Pole. Shackleton and his crew of 27 planned to traverse Antarctica on foot, but just a few months into the journey their ship became trapped and was eventually crushed by ice. Stranded in the world’s harshest conditions with no hope of rescue, Alfred Lansing’s novel is the harrowing account of their journey and struggle for survival. Pieced together from the diaries of Shackleton and interviews with surviving crew members, Lansing’s novel is one of the most esteemed accounts of the expedition. It’s a tale of heroism, heartbreak and the human spirit that has been captivating readers since it was released in 1959. 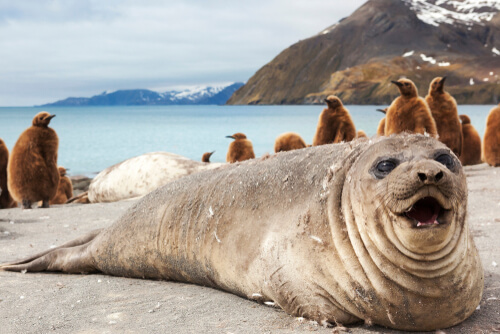 For most visitors, the best part of a trip is meeting the locals, and Antarctica is no different. From seals and whales, to birds and fish, the great southern continent has a greater biodiversity than the Galápagos Islands. The author, Hadoram Shirihai, is a leading ornithologist (bird expert) and The Complete Guide is widely known as one of the most comprehensive books on the region’s animals. Its pages are stunning and comprehensive, full of species guides, photos, illustrations and maps. Over the years and given his background, Shirihai has published many books about birds, but it is his Complete Guide that is one of his most famous and praised titles. Another story of triumph through Antarctic adversity, Mawson’s Will is Lennard Bickel’s 2000 masterful account of one young Australians solo journey. Once an integral part of Shackleton’s Nimrod expedition, Douglas Mawson turned down an opportunity with another leading explorer and embarked on his own research expedition of Antarctica. 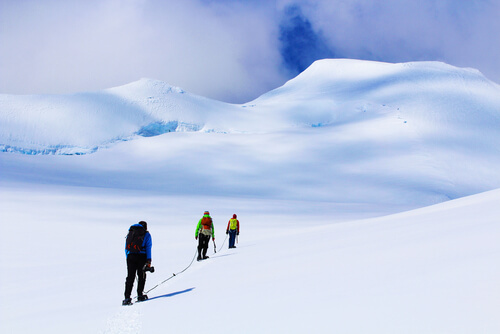 Upon landing on Macquarie island, Mawson led two other men to the mainland of Antarctica to establish a new Commonwealth base and as quickly as his expedition began, tragedy struck. One of his companions fell into a crevasse with most of their supplies, while the other died of starvation and exhaustion. Mawson was forced to traverse the harsh Antarctic battling diminishing supplies, illness, thirst and the severe weather. Against all odds, he not only survived, but managed to continue his scientific studies throughout the struggle. Mawson’s Will is the dramatic tale of his expedition and if you’re eager to learn about Antarctic history, it is a gripping must-read. A documentary 10 years in the making, Antarctica: A Year on Ice dives into the lives of filmmaker Anthony Powell and his wife Christine, who have worked on the remote continent for the past decade. While visually brilliant, the film is much more than the sights and wildlife. 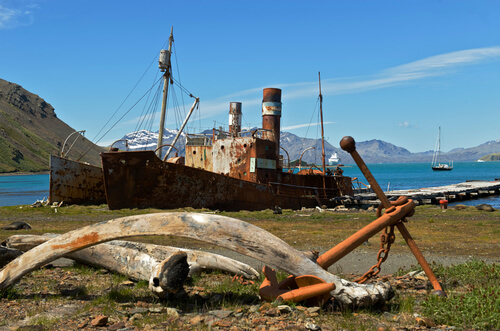 It highlights the harsh conditions and tribulations faced by the pair and other Antarctic residents, throughout the brutal winters and bright summers of the icy south. While A Year on Ice is Powell’s first feature film, his work has appeared in many notable documentaries and series including Frozen Planet. After international screenings upon its 2013 release, the documentary garnered many awards and nominations. 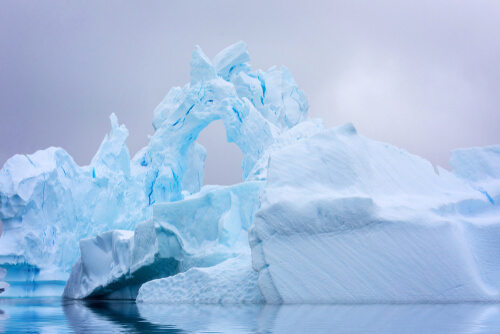 It’s a spectacular introduction to Antarctica and is sure to stir up feelings of wanderlust in travellers young and old.